Clearly, mobile isn’t only meant for consumption. The iPhone has made us reimagine digital photography — not only how we consume it, but how we create it. Clearly the trend has proven itself; if you don’t believe me, go ask that one company that recently net itself a $1 billion price tag less than two years after it launched. So who better than some of the brains behind Dreamworks to throw their hats into the ring? A new app called Ptch (which has been in stealth mode for the last nine months) funded by the animation company launches today that lets users create, share them, and even collaborate with other users on short multimedia pieces. Ptch may be backed by Dreamworks but it’s operating as a standalone app, something vital to its success, in CEO Ed Leonard’s opinion. “We saw the guys really winning at this were fast moving startups that had the ability to pivot, iterate, and go after their target with no constraints,” he tells me. Initially, Leonard was simply part of Dreamworks’ effort to research the space and put the necessary pieces into place. But he got caught up in it all and attached himself to the project. 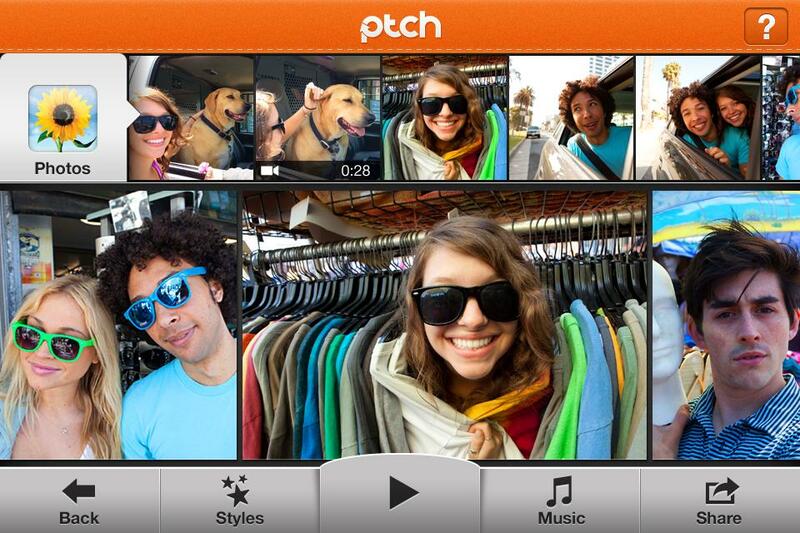 Here’s how it works: Ptch is sort of like a platform for creating storyboards using the visual content on your phone. To create a Ptch, you jump into a horizontal view where a top screen banner allows you to pull in video and photos from your gallery. You can drag and drop these in any order you want, and a double tap will let you position the image and add an overlay caption. You can insert title pages as well, choose a filter style, then add music — titles include Free Bird, Dog Days Are Over, and Don’t Go Breaking My Heart (all free, for the record) — then share to the Ptch street, as well as Facebook, Twitter, or email. 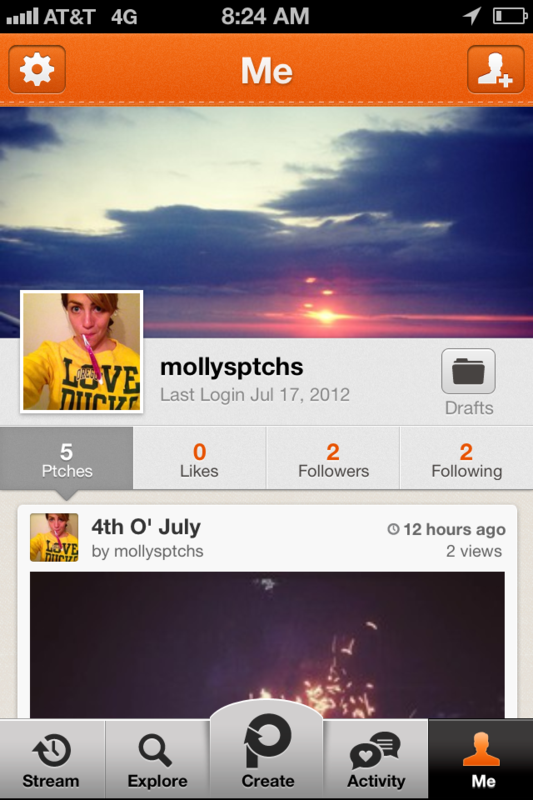 You can also view others’ Ptches and “reptch” them, adding your own content. It’s not the three click process that Instagram is, but considering the amount of media users are able to involve, it’s very simple. The added complexity isn’t the only distinguishing factor from other competitor apps. The combination of video and photo is another unique feature, and one that means it might be entered into the ongoing “Instagram for video” arms race. Which, personally, I find ridiculous: photos and videos are different, the way people interact with them is different, the entire experience is — you guessed it — different. 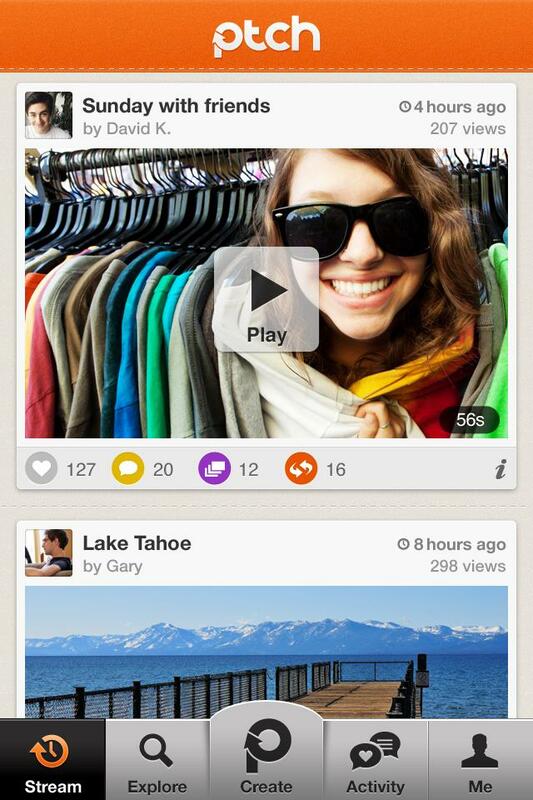 And Leonard agrees, saying he doesn’t view Ptch as a competitor to apps like Socialcam and Viddy. Inspiration is great, but the app also has to work, and thankfully that house that Dreamworks built is full of intellectual property that has fed Ptch. Leonard tells me that the team has taken bits and pieces from the animation company, such as proprietary rendering technology so you can see your Ptch render in real time as well as automatically adjust resolution based on bandwidth, and repurposed them for the phone’s graphics processor. Leonard also mentions that the next iPhone’s specs will make it a “way crazier, super sophisticated, high-end all real time consumer-based expression tool,” so Dreamwork’s technology will be right at home. As far as monetization goes, it’s clear that Ptch is currently all in on refining its product, but there are ideas for the future. Leonards says Ptch could introduce a marketplace for style filters, giving users the ability to purchase premium options, and that this could be applied to movie clips and songs as well. He references Zynga’s in-app purchase business model as one his startup is looking at — only one percent make those in-app purchases, but they make a lot. Other plans in the pipeline include a Web editor (a Web app for viewing is available today, but one where you can browse the stream will come later), and iPad and Android versions are also on deck.